Tourism development – think hotels, attractions, convention centers – is now a commercial goal on Front Street in downtown Missoula. On a 10-2 vote Monday night, City Council members endorsed the addition to the Front Street Urban Renewal District Plan, setting up consideration later this month of a $3.6 million reimbursement to developers of the nearly finished Mercantile hotel at Front and Higgins. It was the reimbursement – using Tax Increment Financing dollars – that proved controversial. The vast majority of the council spoke strongly in support of tourism as an economic driver in downtown Missoula – and of the Merc as the centerpiece of that new focus. But council members Heidi West and Jesse Ramos questioned the real economic value of tourism and the justification for providing TIF dollars to a private corporation for a private commercial venture. Ellen Buchanan, director of the Missoula Redevelopment Agency, provided the background and justification for the resolution and ordinance. A major hotel development simply was not envisioned for downtown Missoula, she said, much less the disappearance of department stores brought about by online shopping. But by January 2010, Macy’s was on its way out of downtown Missoula, and later that year downtown’s retail anchor was gone. The building sat empty and in increasingly decrepit condition for six years. The five-story, $40 million Marriott Mercantile hotel was an unexpected but welcome replacement for those lost downtown dollars, Jones said, one that coincided with and will feed a tourism boom. HomeBase LLC, the hotel’s Bozeman-based developer, has scheduled a February opening for the hotel and its 200 rooms, with a diverse collection of ground-floor restaurants and retail shops to follow. Ramos provided the counterpoint Monday night, saying he was “confused” by his fellow council members enthusiasm for the development. As for the developers of the Mercantile hotel, Ramos said he will not approve any reimbursement of construction expenses when that request comes before the council later this month. “This is not a handout to the developer,” he said. Von Lossberg ticked off a list of requirements the City Council placed on HomeBase during its protracted consideration of the building’s removal and replacement three years ago. At every step, the council’s decisions added costs to the construction. The TIF funds promised to the Merc’s developers by the Missoula Redevelopment Agency’s board in June 2017 are reimbursement for the added costs of environmental remediation, deconstruction, historic preservation, underground utility placement and right-of-way improvements. HomeBase could receive up to $3,597,844, if needed bonds are approved by the City Council. The MRA board’s decision is not binding on the council, Buchanan said Monday, so the developers knew they were taking a risk. When the council imposed the costly extra requirements on HomeBase in 2016, “we deemed it in the public good” to use increment funding to make that happen, von Lossberg said. 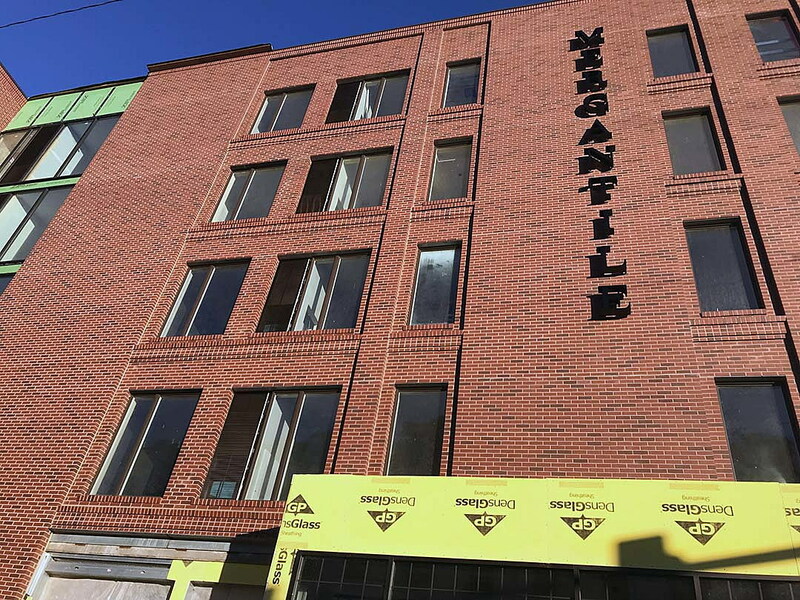 Monday night’s vote to amend the Front Street URD plan – and to declare the Mercantile hotel’s construction an urban renewal project – was the start of the process now needed to provide the promised reimbursement. What will follow, Buchanan said, is a referral to the council’s Administration and Finance Committee, to approve a bond resolution and development agreement between the Merc developers, the city and the MRA. That was spelled out in the development agreement approved by the city and HomeBase LLC several years ago, she said.